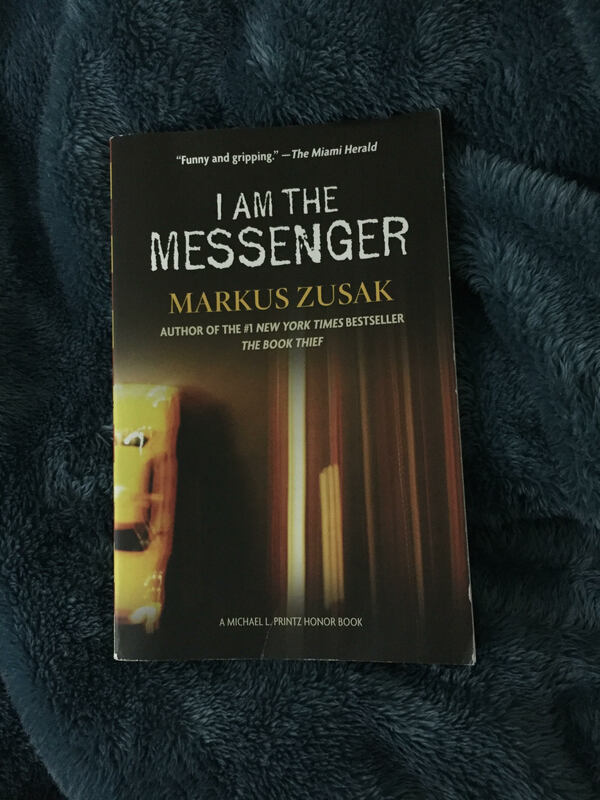 And here is another novel by Markus Zusak. And yes another beautiful book. This time we are not in war. we are in the modern world, with young characters who struggle to make sense of this fragmented world. Like in “The Book Thief,” the character behind all the actions is a kind of an angelic figure; in “The Book Thief“, it was the angel of death while in this book, I cant decide who is he..is he an angel? is Ed himself an angel? What I am sure of is that there is an angelic element in the book. Our destiny is written, but we still have the freedom and the choice to change it. We should not succumb to trivial excuses while we can change everything if we choose to. The messages sent to Ed taught him that he could change his hopeless life if he puts his mind to it. Ed and his friends are just like us. We all go through a stage in our lives wherein we don’t want to do anything, we don’t want to “want” anything. A stage wherein we don’t know where are we going …we just exist. Those messages teach us that we are surrounded by broken souls that don’t need a financial help, but only a soft touch to their hearts..a word, a simple gesture. In this world, we are disconnected and separated from each other. We walk and choose to ignore those suffering around us. Ed teaches us what will we become if we choose to look at those people and smile to them…what will happen to this world if all help each other? This world is a very sad one. A world where we are fragmented…It is destined…but we can change this if we choose to. Helping others entitled helping ourselves too. It means that we choose to be better persons..to change the ugliness which might reside in our souls and hearts. Seeing the smiles on the faces of those we help remove the rust from ours souls. Marv’s and Milla’s stories are my favorite. Marv resembles us when we are hurt we withdraw from our surroundings..we become more careful and we lose our trust; still, we don’t give up…we just need someone to reach for us. Milla…oh Milla, I did cry when I read her story! She lost and she spent her life mourning the love of her life. I don’t think there is worse than losing before even trying ! Of course on top of all those stories is Ed’s story himself. Ed wasn’t living his life…he has aspiration and dreams…and in love, but he never tries. He thinks he is not worthy of anything while he is worthy of everything. Don’t we pass through this stage, too? Thinking that we don’t deserve anything more than what we already have? No, we all deserve to achieve our dreams..
Apart from this beautiful message in “I am the Messenger,” the thrill and adventure part is so interesting and clever, too. I couldn’t stop reading to know what will happen next. Beautiful novel…loved every part of it.